Weight Choose an option5/16 oz.7/16 oz. 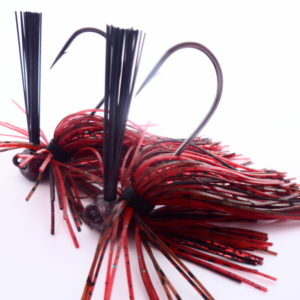 The Chubby’s Bug is an Ultra Fineness jig with a larger than it is appearance. 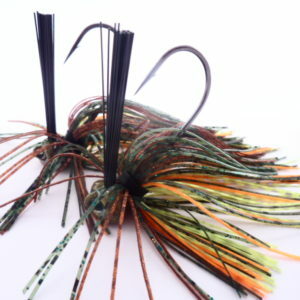 Our custom, stand up, head creates the flared skirt; allowing us to use 66 strands of skirt material. 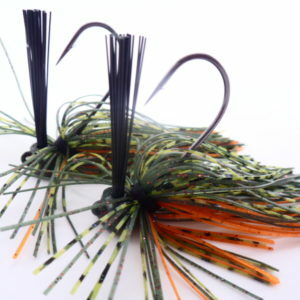 The head is balanced to where the flare falls straight down; allowing the 66 strands to slow the fall, have a ton of movement, and entice a lot of bites! 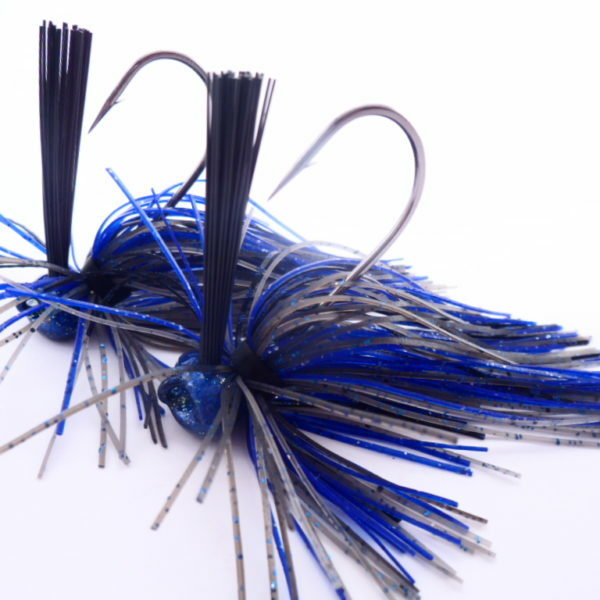 These are sold in a 2 pack, in your choice of 5/16 (3/0 hook) or 7/16oz (4/0 hook), and each jig is built on a Mustad hook with a trailer keeper wire built in. 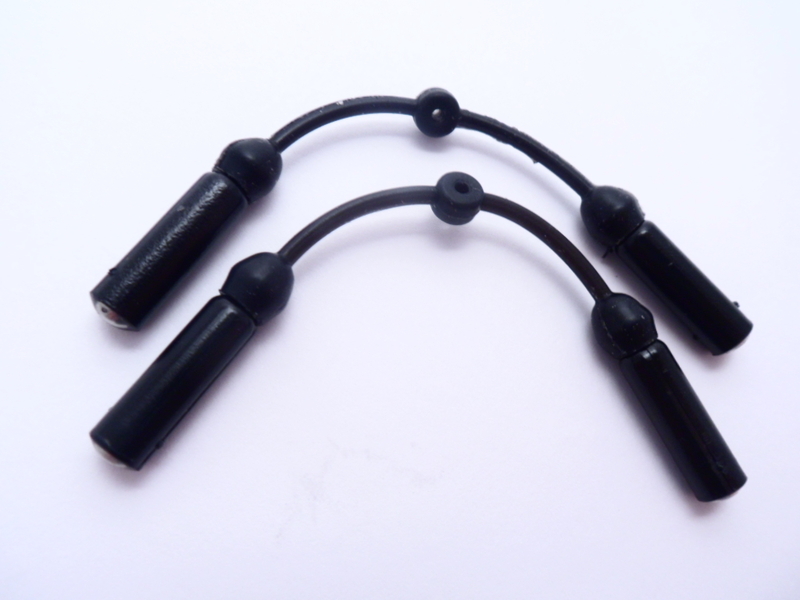 We assemble our own 66 strand premium silicone skirts and paint the heads with 100% powder paint. 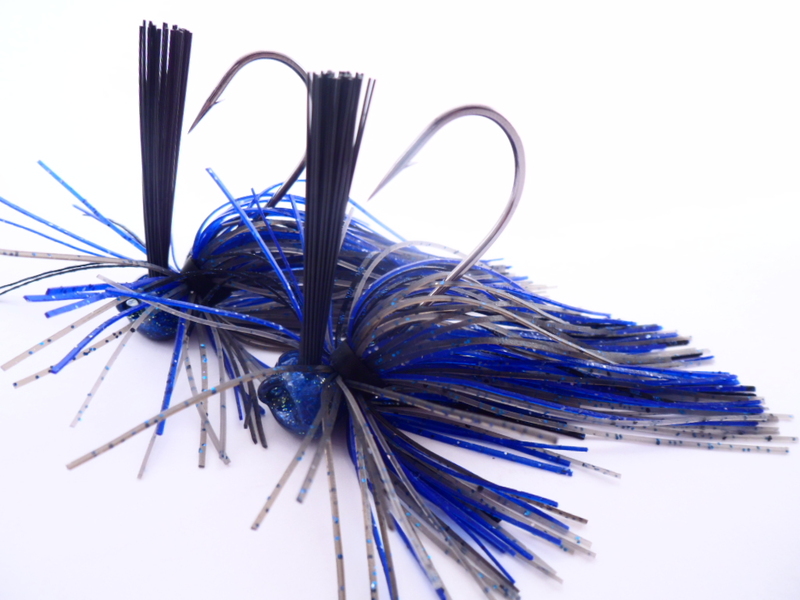 These baits are not only built to look good, they’re built to last! 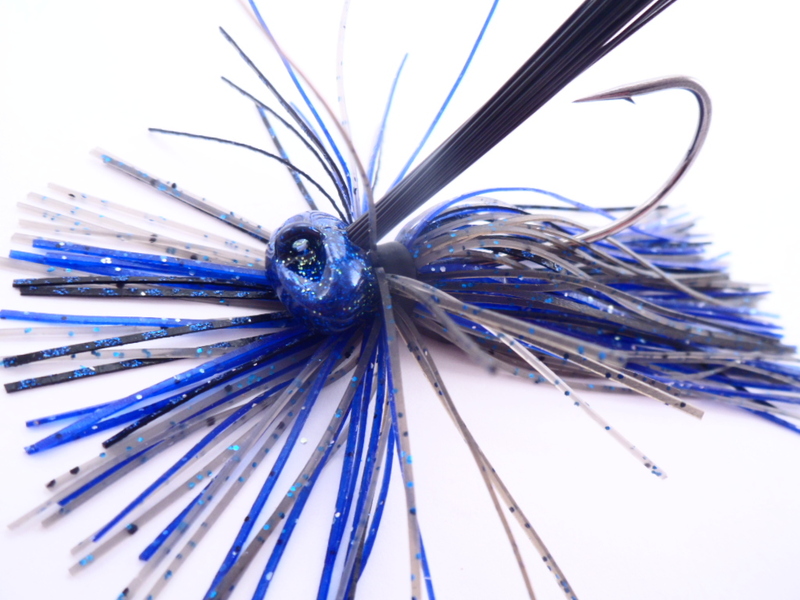 Be the first to review “Chubby’s Bug 2 pack, Smokin Blue” Click here to cancel reply.